For over 40 years, SABRE has stood as a proud advocate of women's safety through their extensive line of self-defense products and by teaming up with several philanthropic causes that operate on a global scale. The SABRE team is passionate about prevention and equipping women to fight back and feel safe. With a variety of safety products, self-defense programs and other resources available, SABRE is dedicated to personal safety on all fronts. Kuros! A Fighting Chance – For every teal Kuros! 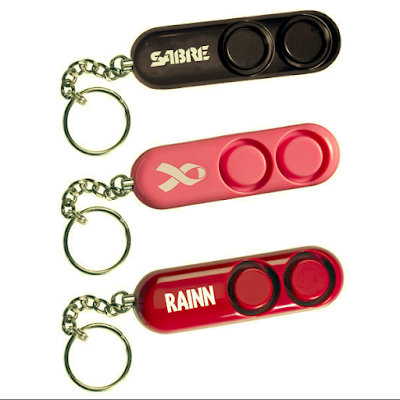 pepper spray that's purchased, SABRE makes donations of their police strength pepper sprays to the program. Since 2015, they've facilitated drops in Central America, India, South Africa, and Southeast Asia, donating over $156K in sprays to help women protect themselves against physical and sexual abuse. The bright blue Kuros! 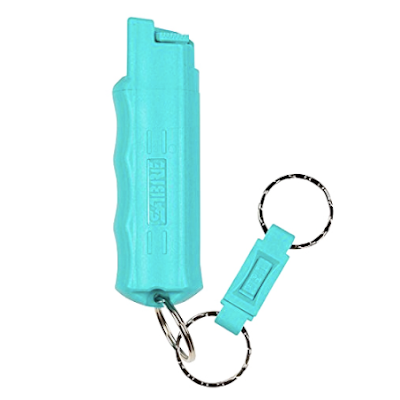 Key Case Pepper Spray with Quick Release Key Ring is in collaboration with Kuros!